Introducing a lighter version of the all-American, diner-style breakfast. 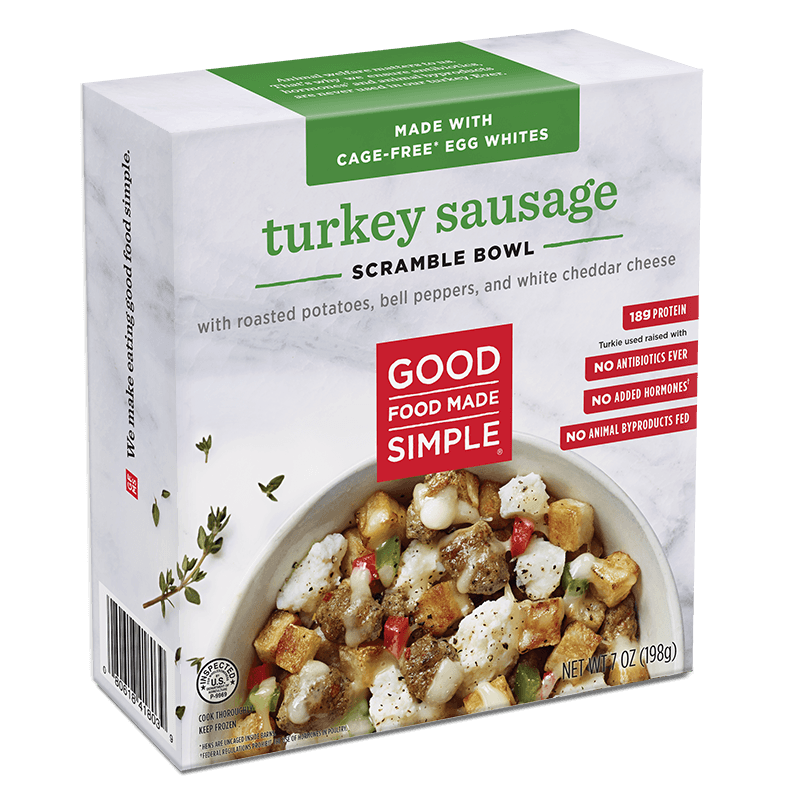 Fluffy, cage-free egg whites, olive oil roasted organic Russet potatoes, extra sharp Cheddar, creamy Monterrey Jack, and hearty turkey sausage come together for a delicious start to the day that won’t slow you down. Scrambled egg whites (cage free egg whites, whole milk, cornstarch, sea salt, pepper), organic roasted russet potatoes (organic potatoes with organic olive oil), cooked turkey breakfast sausage (turkey thigh from turkey raised without antibiotics, water, salt, spices, sugar), white sharp cheddar cheese ([cultured pasteurized milk, salt, enzymes] potato starch and corn starch [to prevent caking]), organic red peppers, organic green peppers, organic onions, water, spices.